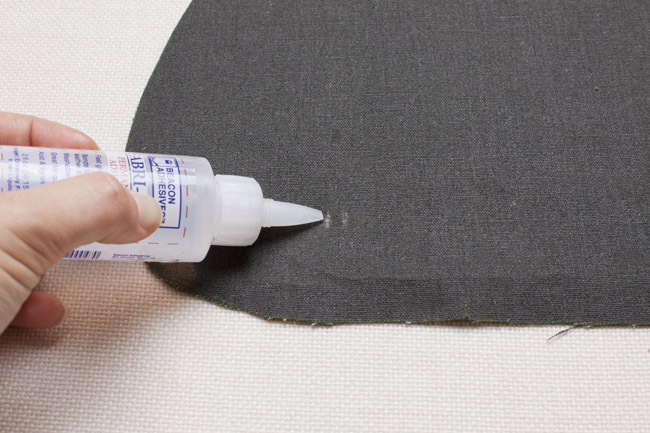 Today, we’re going to show you how to install a magnetic snap in your Cooper bag, or any other project that calls for them. 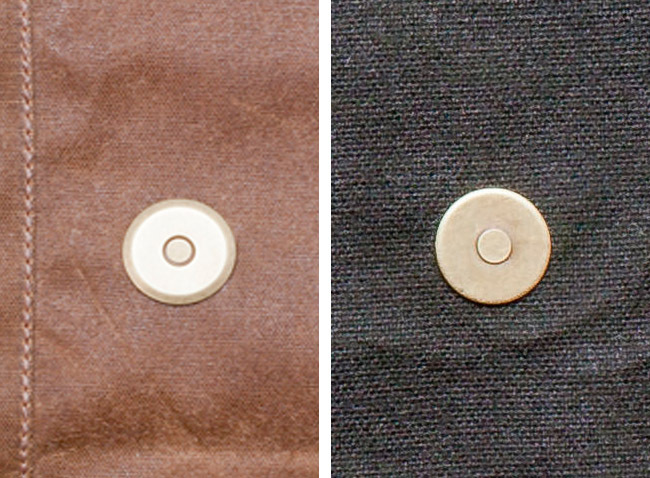 We’ll be showing the male side of the snap, but you can use the same steps to install the female side. 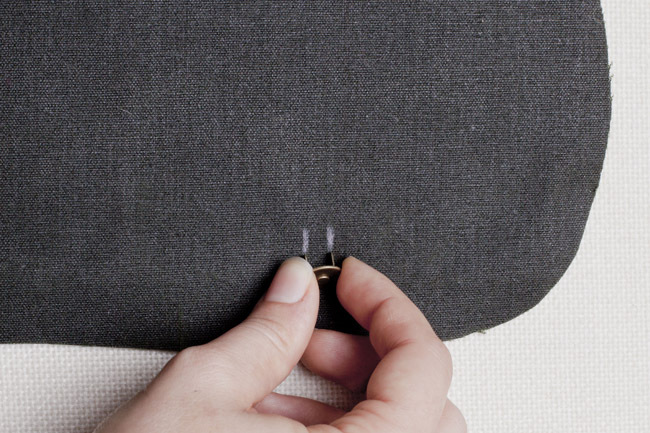 Step 1: Transfer magnetic snap | markings to the right side of flap (C) piece, and check to make sure they fit your snap. Every snap is different, so if you need to move the two markings closer together or further apart, go ahead and do it. Step 2. Using scissors, cut small slits along the straight lines within the magnetic snap | markings on the right side of one flap (C) piece. 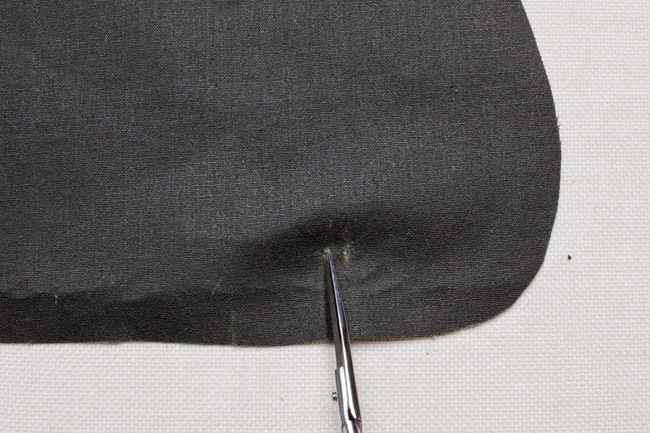 Step 3: Reinforce the slits with a small dab of fabric glue. You can also use a product like Fray Check. 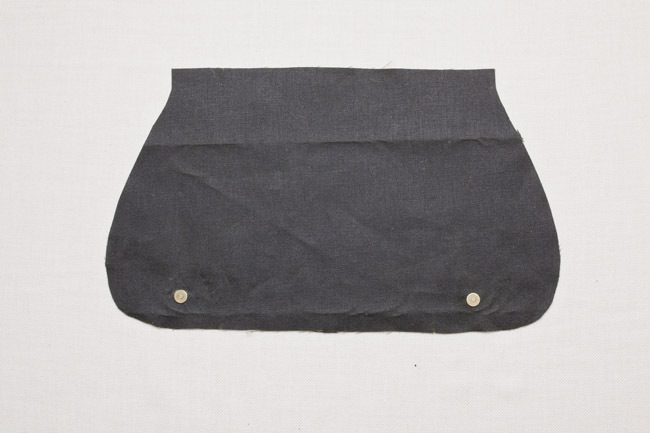 This will help prevent the slits from wearing over time. 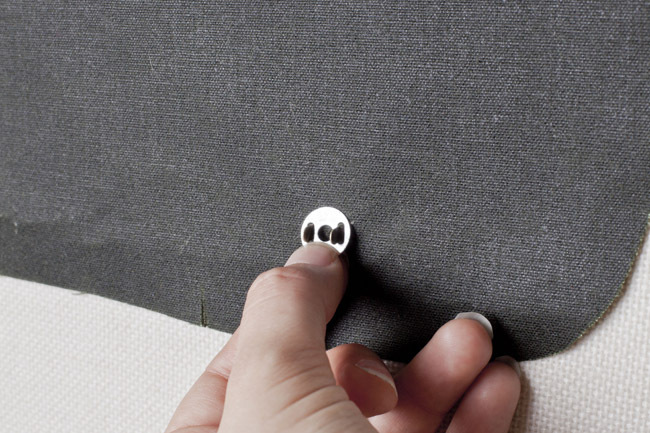 Step 4: From the right side of your fabric, slide the prongs of the male side of the magnetic snap into the slits. 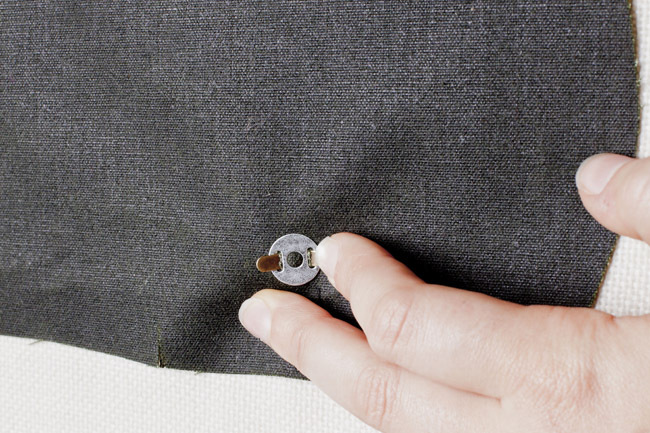 The prongs should poke out on the wrong side of your fabric, as shown above. Step 5: Place the magnetic snap plates over the snaps on the wrong side. Step 6: Bend the prongs outwards. 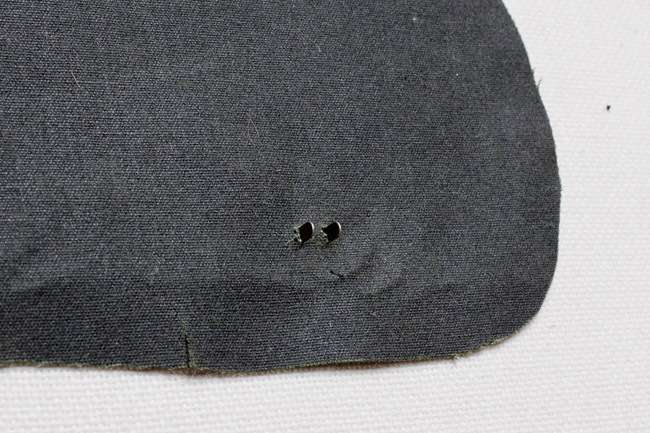 Final view from the right side of flap (C) piece. Final view from the wrong side of flap (C) piece. This side will be covered up as you assemble the flap. Now you just need to install the female side on the bag in the same way. Snaps complete! How funny, I just bought a few magnets on ebay! This is very useful! Thank you! I just added magnetic snaps on a purse that I made! I also added fusible fleece on the back side so the edges aren’t poke-y and to add an extra layer of protection. 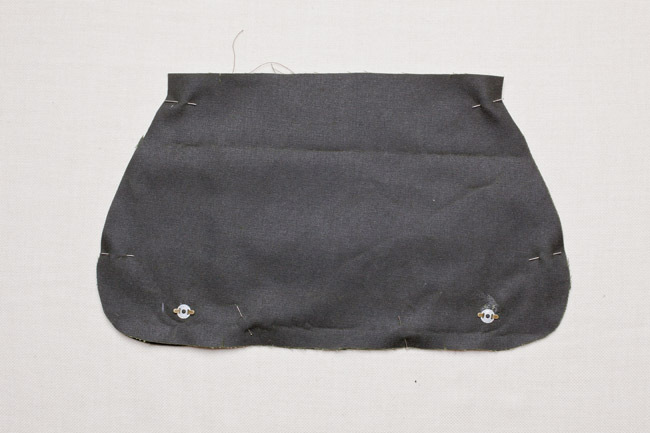 Maybe this fabric is stiff/thick enough one its own, but I also add a small square of interfacing for the prongs to poke through. Even when using cotton duck. Just one less thing to worry about, lol. Awesome! I always wondered how those things are installed!! Thanks for the post!